There can only be one Presidential Palace in the whole of China — even if it belongs to a former regime on the mainland. 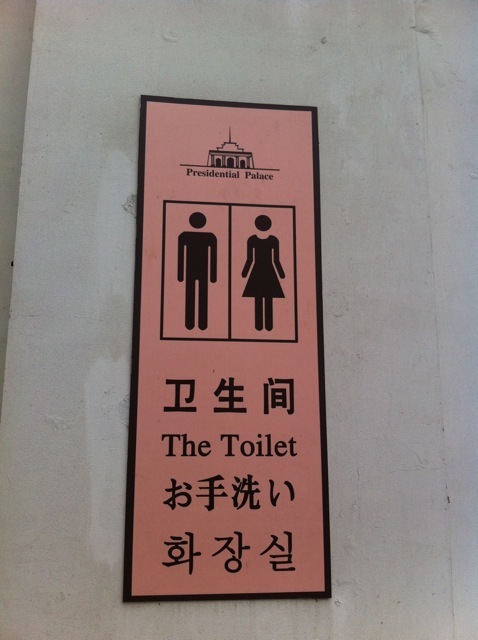 And in that vein, there can only be one toilet in that very same palace. See what I mean? The extra “the” makes it look a little… well, don’t you think that extra “the” is a the a tad too the “superfluous”? Doesn’t it make itself appear a little too… well, self-important? Next Station: CPU Metro Station…!? Would you board a Metro train taking you to the “CPU station”? If you’re in Nanjing, you’d probably have no choice. But that’s only true if you’re headed for the China Pharmaceutical University Station on the new extension to Metro Line 1 — a station that, like many other stops named after educational institutions, all are shortened to acronyms and initials throughout the whole line. And talking about that CPU thing: There’s a chain store selling clothes calling themselves CPU as well. What’s this CPU obsession in China all about? As one of my fellow class mates would say when the system went wrong: I’LL BUST OUT YOUR CPU! 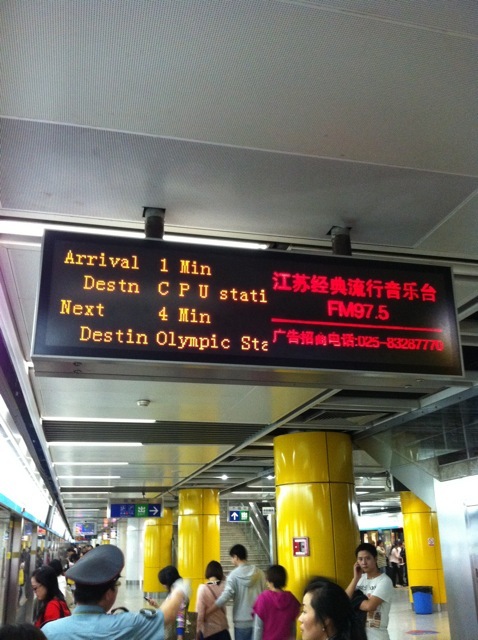 To read more Chinglish-related posts from David Feng, feel free also to browse his posts on David's main domain blog. Most content will have already been restored on this site, with just a few minor updates coming soon. English and Chinese are two vastly different languages written in two completely different ways of thinking. "Writing English whilst thinking in Chinese" is most often the main reason why Chinglish is seen. Learn more about types of Chinglish often seen and why they're there. Learn more about David and his Chinglish "obsession"
► See David's other "Chinglish commitments"
Stop Chinglish – Speak English! Chinglish can appear to be cute and a great source of hilarious jokes — until it gets serious, and someone misses a plane or a train due to Chinglish signs. In this case, then, it would be in the interest of China and expats in that country to improve the proficiency of English to the benefit of all. David has incorporated "stop Chinglish, speak English" content in to all of his lessons, in particular those given to China, to all audiences. He is here to improve China's English so it makes sense to all, both locals and foreigners.